Its a good thing I had my Deluxe Swiss Army knife with me today. I was waiting for Joy in the beauty parlor, all ready to sketch but could not find my drawing pen anywhere. BUT, my Deluxe Swiss Army knife had a pen! It was nothing to speak of, just a ball point pen refill (a naked, thin barrel). When I got home, I darkened some of the outlines with my regular pen-and-ink pen. 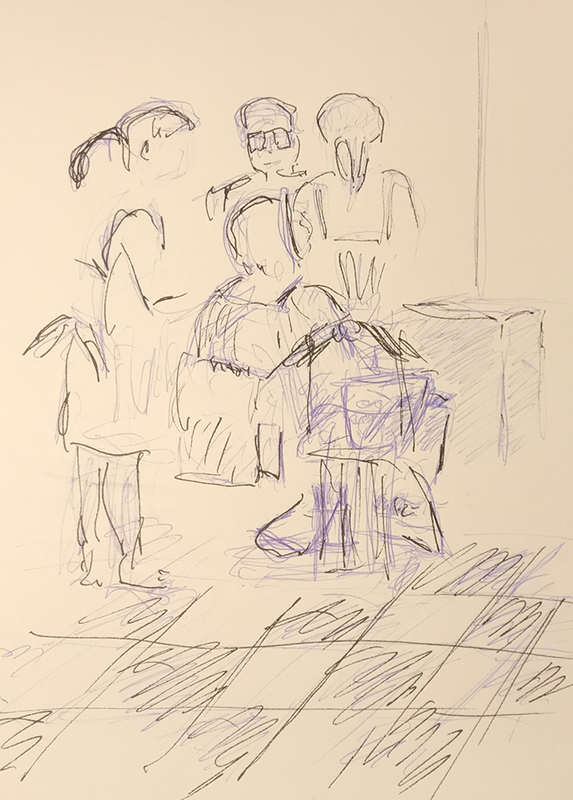 This entry was posted in Personal Stories and tagged 15 minute sketch, art, artistic process, ball point pen, creative process, creativity, improvisation, pen and ink, sketch, Swiss Army knife. Bookmark the permalink.